This is an old-time recipe for Southern scuppernong jam. 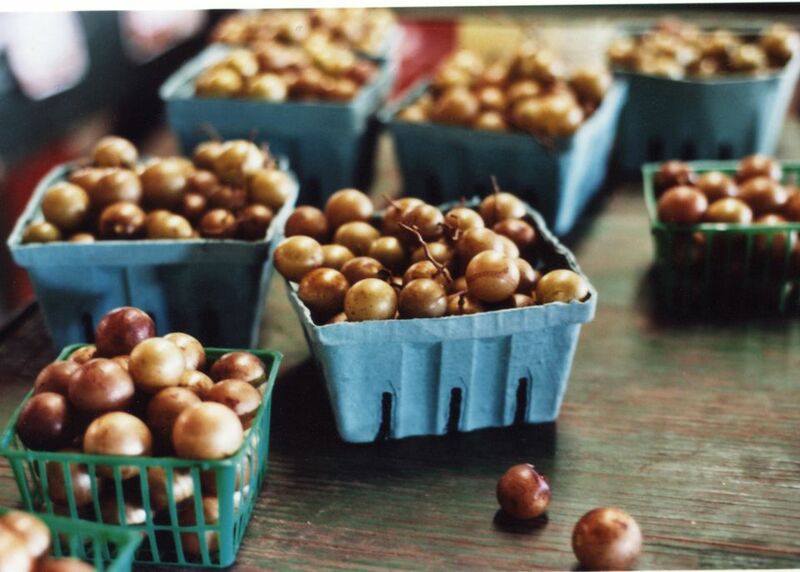 Scuppernong and muscadine grapes are large grapes with thick skin and soft pulp. Prepare the boiling water bath canner, jars, and lids following these tips. Place a few small plates in the freezer for the jelly test. Squeeze the pulp out of the hulls, keeping pulp and hulls in separate containers. Chop hulls if desired, and place in a pan with about 1/2 cup water. Simmer until tender (about 15 minutes); stir occasionally and add more water if needed to prevent sticking. In another saucepan, cook the pulp until softened. Press pulp through a sieve or food mill to remove seeds. Combine pulp and hulls in a larger pan; add 3/4 cup of sugar for each cup of fruit. Bring slowly to a boil and boil for about 15 to 20 minutes, or until thickened. Stir as the mixture thickens to prevent sticking. Take a plate out of the freezer. Drop a teaspoon of the hot jam onto the plate. Let it rest for about 30 seconds. Tip the plate. The jam should move slightly, but it shouldn't be thin enough to run. If it is runny, continue cooking and check again. Pour the finished jam immediately into the hot, sterilized jars, leaving 1/4-inch head space. Carefully wipe residue from jar mouths with a paper towel moistened with boiled water and cover with seals and rings. Process in the boiling water bath for 15 minutes. Makes about 4 to 5 half-pint jars.